Got an entire Saturday to kill in Louisville, KY? Sounds like you need to go on the HOT BROWN HOT SPOTS WALKING TOUR! 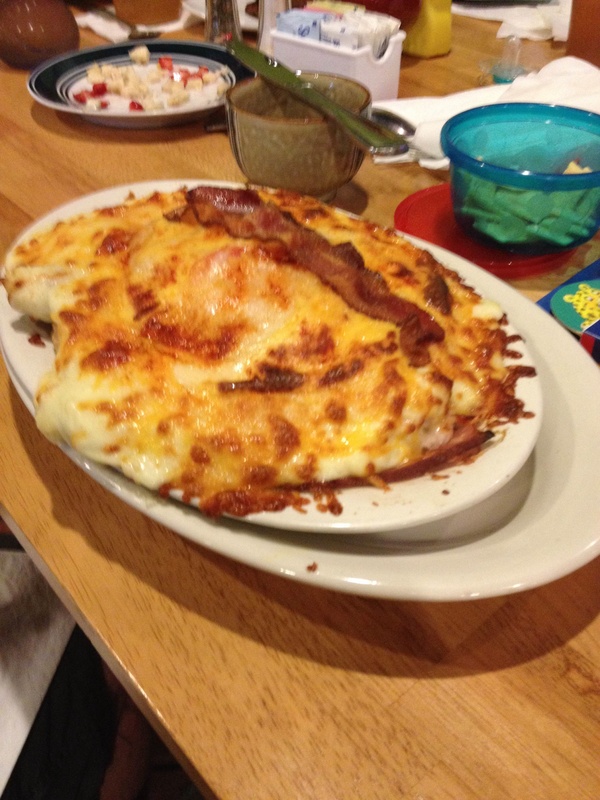 The Hot Brown is Louisville’s signature dish: ham, turkey, toast, cheese, bacon, all baked beneath a generous of blanket of mornay sauce. And for as little as $919.99, YOU can take the tour that tastes them all! …AND THIS IS A SMALL. A walking tour of downtown Louisville, the 12 stops include Louisville notables Mama’s Southern Cafe, Phil’s House of Hot Brown Goodness, and the historic Brown Hotel, birthplace of the Hot Brown itself. 1. One large Hot Brown in each location. 2. One pint of beer to wash it down in each location. 3. An “IS THERE HOT BROWN ON MY FACE? !” t-shirt. 4. Photo Op with a professional photographer (prints available for purchase upon completion of the Hot Brown tour). THE FINE PRINT: The HBHSWT starts at 11:00am, and rarely ends before 1:00a.m. the following morning. For legal reasons, the tour can not continue until each participant finishes their Hot Brown and beverage. Public displays of intoxication or stomach sickness will be met with violent reaction from law enforcement. This entry was posted in Business, Food, Humor and tagged Bacon, Brown Hotel, food, Ham, historic, Hot Brown, JC Penney, Kentucky, Louisville, Mornay, Turkey, Walking tour by Pres Maxson. Bookmark the permalink.